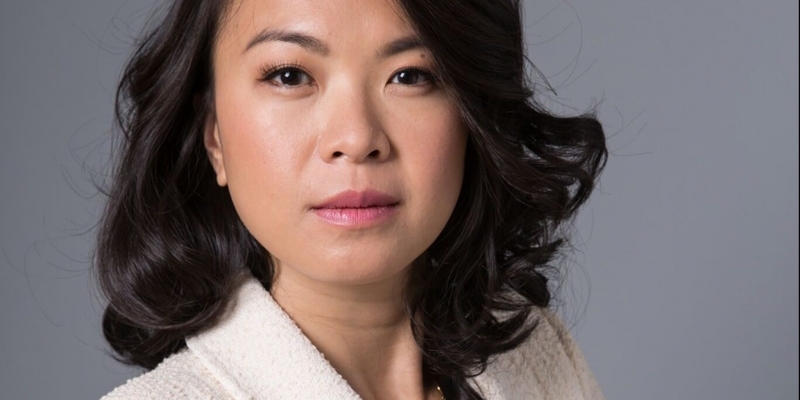 As JP Morgan Chase’s new blockchain lead, Christine Moy has big shoes to fill. And a quandary to resolve. Moy took over last month from Amber Baldet, one of the most prominent figures in blockchain, after she left to form an as-yet-unnamed startup. Around the same time Baldet announced her departure, word leaked out that JP Morgan was considering a spin-out of Quorum, the ethereum-based, open-source project that had been the cornerstone of the bank’s blockchain work. To be clear, those deliberations do not mean Quorum is struggling – big corporates like JP Morgan tend to shelve failing projects, not spin them out into funded entities. Indeed, it could be argued that Quorum may have become a victim of its own success. There are more than 20 organizations within the Enterprise Ethereum Alliance working group looking to build on top of the platform. But for JP Morgan, the challenge is about allowing Quorum to flourish independently, in true open-source protocol style. Perhaps private blockchains, like their public counterparts, face difficult governance problems, too – especially once they start to gather a network effect. Yet in an interview this week, Moy was quick to emphasize that the recent speculation around Quorum does not capture the breadth of JP Morgan’s work in distributed ledger technology (DLT). And it’s true that JP Morgan is involved in a number of important blockchain projects that are separate from Quorum, such as its collaborations with Digital Asset Holdings, Axoni and Nivaura. Nevertheless, the fate of Quorum is the elephant in the room that will have to be addressed. Fortunately for JP Morgan, in Moy it has a leader who not only knows that project inside and out but is all too familiar with the reasons the bank started exploring the tech to begin with. Moy, the new program lead for the Blockchain Centre of Excellence (BCOE) at JP Morgan, brings to the role firsthand knowledge of exactly the kind of problems that distributed ledger technology aims to solve. She started her career in the middle office of JP Morgan’s syndicated loans business. In this job, Moy had to deal with all the documents that needed to be signed before these transactions could close. Even more antiquated than most corners of legacy finance, syndicated loans can take 20 days to settle. “I used to be the person that faxed those documents around to settle those trades, so I know that process intimately,” Moy said. She then spent over a decade working across a range of assets and divisions at the bank. This cross-training included witnessing how securities and chains of custody were frozen solid as the 2008 crash engulfed the entire financial system. That experience underscored for her the importance of a transparent system of reconciliation – just as the syndicated loans role drove home the need for faster settlements. With that pedigree and perspective, Moy was a natural for the BCOE, where she was Baldet’s first hire. Yet perhaps most importantly, working in various parts of a sprawling, diversified company – one assembled from decades of mergers – has shaped Moy’s thinking about one of the key challenges for DLT, particularly the private kind: interoperability. This, of course, brings up another delicate subject for a bank, particularly one whose CEO has famously bashed bitcoin: public blockchain networks. Quorum, although built with open-source code, is a private blockchain, the kind that was in vogue a few years ago when enterprises (financial institutions in particular) were keen to experiment with the technology but wanted nothing to do with any cryptocurrency. Lately, though, once-sharp lines have slowly started to blur. According to many ethereum advocates, we are only just at the dial-up internet stage of a totally new value transacting ecosystem. The end goal is connecting the private world of finance with public blockchains. In an effort that was perhaps unthinkable a year ago, the EEA (which just published its architecture stack diagram) is actively building these bridges, along with the work of the Ethereum Foundation and also the help of a wide and populous developer community. For her part, Moy said several times that she is “agnostic,” or neutral, about which blockchain or protocols are used. But she said it’s important to stay in touch with the innovation taking place in the public sphere. On the other hand, while she may be protocol-agnostic, Moy believes the basic building blocks for enterprise DLT are now all in place. “The creation of new protocols in the enterprise space has largely subsided, and there are just a few key protocols that everyone broadly recognizes will remain,” she said. Returning to Quorum, Moy views the project as an example of how open source software, once handed to the community, takes on a life of its own. “We are entering this interesting point where other entities want to use Quorum, want to take it to production,” she said. A whole host of entities picked up Quorum and started using it, Moy noted, name-checking IHS Markit, Broadridge, Synechron, ING, and BlockApps. The platform has amassed a tribal following. But this raises a problem, because it requires a level of support that’s only really possible if there’s a company dedicated to helping enterprises integrate the technology, the way Red Hat supports corporate Linux users. Businesses want someone they can call to fix bugs or when the network is down. Software support is not the bank’s business. This is why JP Morgan is mulling over a spin-out. While reviewing its options, the bank is also looking at doing more investing internally and hiring more engineers, a spokeswoman said. In the meantime, Moy’s focus is on bringing new business applications to Quorum, such as the testing of a debt issuance platform with a host of institutional investors. A smart contract automated the offering, the distribution and, crucially, the “delivery versus payment”– meaning the investors got their securities only upon paying cash. This is notable because cash is king in the world of clearing and settlement – and getting cash onto a shared ledger is seen as a vital part of the puzzle for blockchain builders. Moy also sees the Yankee CD trial as a harbinger of a more open and transformed financial system. Christine Moy photo by Jena Cumbo, via JP Morgan Chase.